BM Engineering Supplies – one of the most long-standing valve suppliers in Scotland – provides a wide range of valves and instrumentation across Aberdeen. We have been supplying valves across Scotland and the UK for more than 40 years and have worked with a large range of partners to source only the very best instrumentation in Aberdeen. BME provides instrumentation for various company sizes. We work with blue chip companies all the way down to small contractors. So, whether you need a ball valve, butterfly valve or a batch of steam equipment in Aberdeen, BM Engineering can provide you with the ideal solution. BME offers a comprehensive range of steam equipment, which is used across Aberdeen’s food and beverage, dairy and pharmaceutical sectors. Hygiene plays a vital role across these industries, which means that the importance of clean steam is absolutely imperative. BME is one of the leading suppliers of commercial steam equipment in Aberdeen. We offer steam control valves, reducing valves and steam traps. Industries that process very thick product, such as slurry and mining, power generation and pulp, require the use of knife gate valves. Our collection of knife gate valves in Aberdeen are supplied from only the highest quality brands in the industry. The BX model of knife gate valves, for example, uses a bi-directional wafer valve which is developed for the isolation of pulverised coal burner lines. This is a favourite with businesses across Aberdeen. 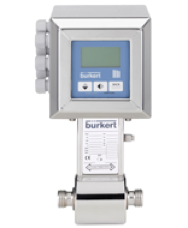 Instrumentation, such as conductivity transmitters and flow meters, are supplied by Bürkert. We are passionate about sourcing only the very best equipment for instrumentation across Aberdeen, in order to keep your business processes running smoothly. Bürkert, one of the leading valve companies in Aberdeen and nationwide, are a long-standing partner of BME. Their pressure transmitters and flow meters are at the forefront of valve mechanics and technology, and their instrumentation equipment is well-loved across the city.